NEXREF Technologies, Dallas-based augmented reality company is enabling companies like Coca-Cola, the NFL, and DC comics to invite fans to an AR experience. AR and VR technology are changing the way we experience entertainment. These innovative mediums give us more from our favorite brands. Companies like NEXREF Technologies are finding new ways to market and expand those brands with augmented reality. Technologies that utilize augmented reality allow people to use apps on devices such as smartphones to create a virtually interactive experience with the world around them. One popular example would be Pokemon Go, where an innovative augmented reality company built upon an already successful franchise. If a popular video game franchise can cash in on the AR experience, then so should the sports entertainment industry. For Denver Broncos fans, that’s where NEXREF Technologies comes in. The Dallas-based company was recently hired to integrate an AR app called Orange Herd at Sports Authority Field. 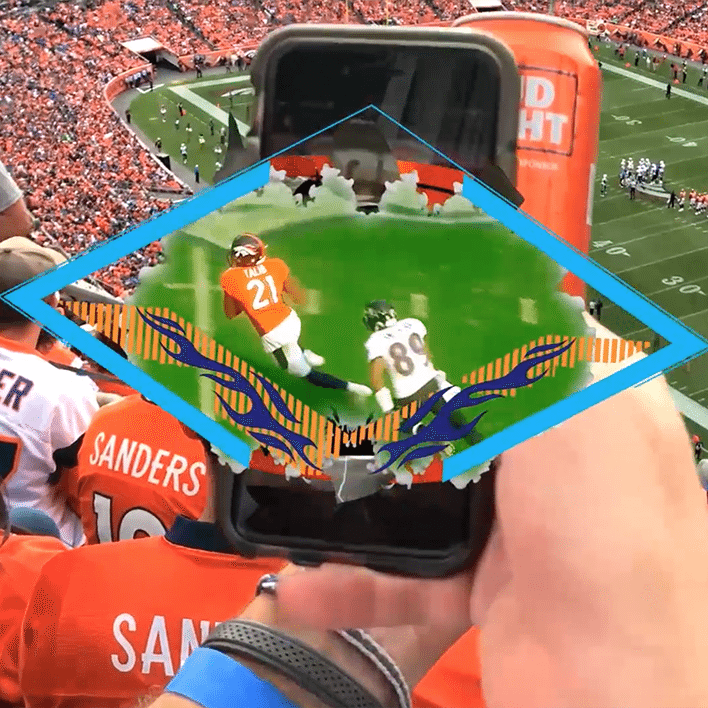 The app allows fans at the stadium to scan beverages in order to access AR content including animations and exclusive deals such as offering free coffee the next morning (given a Broncos win, of course). Thanks for NEXREF, fans have another way to enjoy their favorite attractions, and brands such as Bud Light, Coca-Cola, and Conoco have a new platform from which to reach out to their customers. This augmented reality company has created a unique approach to content marketing, and it will be interesting to see the direction that it takes in the future. The Broncos aren’t the only major sports organization to make use of AR technology. The NBA recently struck a deal with Second Spectrum to include an AR system that will analyze and track all court activities, giving fans at a game access to detailed statistics in real-time. Not to be left out, NextVR offered fans the chance to watch one live NBA game a week in VR which received a glowing review from Time Magazine’s website. VR is also making a huge splash in the video game industry. With devices such as PlaystationVR, the Oculus Rift, and the HTC Vive, gamers are experiencing a fully immersive gaming experience that allows them to reach out and interact with virtual objects that seem close at hand. Our developers are hard at work on incredible VR/AR games. Due for release during the Christmas Holidays, the pulse-pounding VR game Starship Survivor built by Edgy Labs’ own development team is almost ready. We here at Edgy Labs pride ourselves on being at the cutting edge of VR and AR. We offer cost-effective solutions for every business from startups to industry pros. These new technologies could improve the user experience for your customers.